Originally a contemporary dance piece, ÉCOUTE POUR VOIR also serves as a medium for bridging the generations. 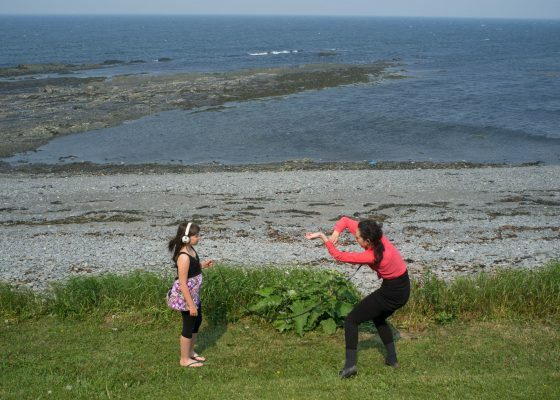 ÉCOUTE POUR VOIR is a performance activity aimed at humanizing dance and drawing closer connections between two people—one who dances and the other who listens and watches—on familiar territory. 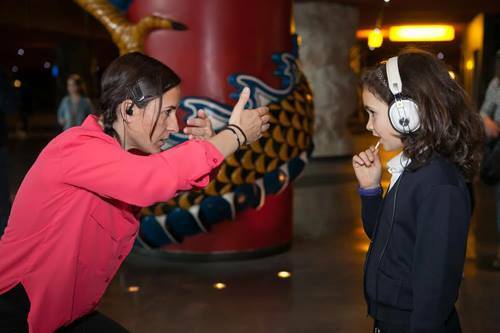 For the length of a piece of music, a dancer offers the spectator a choreography, while each wear a pair of headphones connected to an iPod. The spectator is thus free to enter into the dance at their own pace and inclination. The dance becomes nomadic as the two take a stroll, engaging in a close dialogue, while what is showcased are two people in tune with one another and wrapped up in the same musical mood. 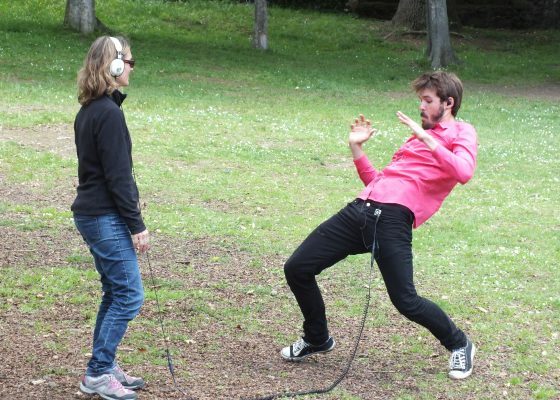 Physically joined to one another by headphone wires, connected to each other in this singular form of communication, with each pairing, both dancer and spectator experience something unique, moving and humanistically “subversive”. 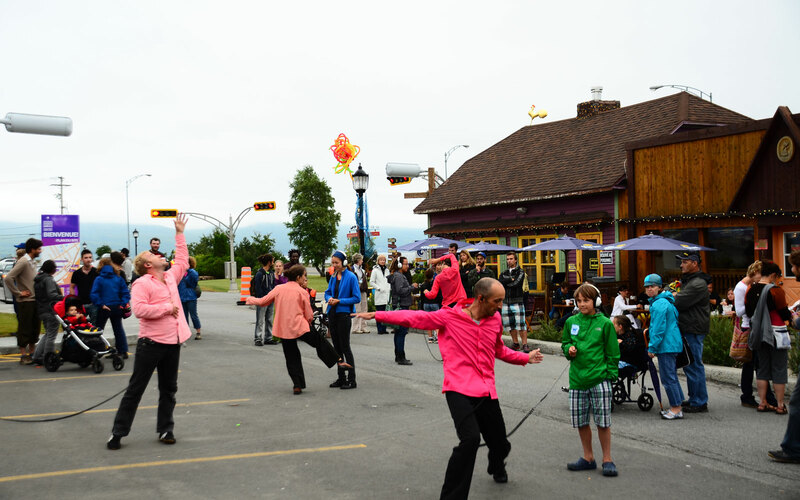 Danse Carpe Diem/Emmanuel Jouthe brought the ÉCOUTE POUR VOIR experience to the Manoir St-Léonard, of Résidences Soleil, in 2013. 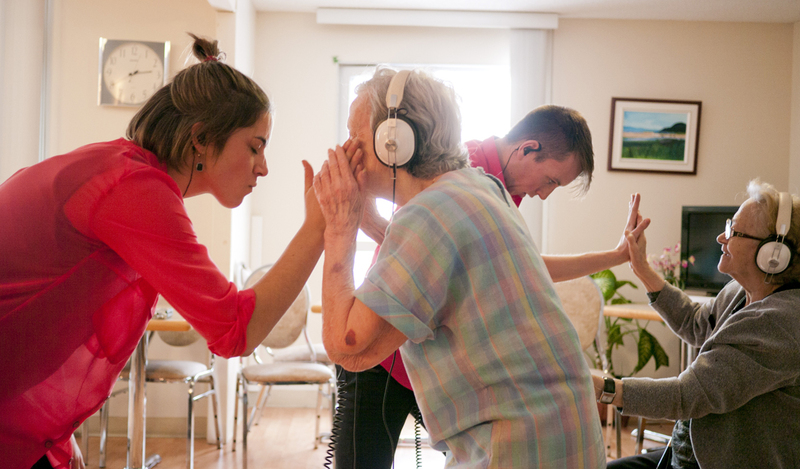 Twice per month over the course of that year, dancers met with seniors in their residence. 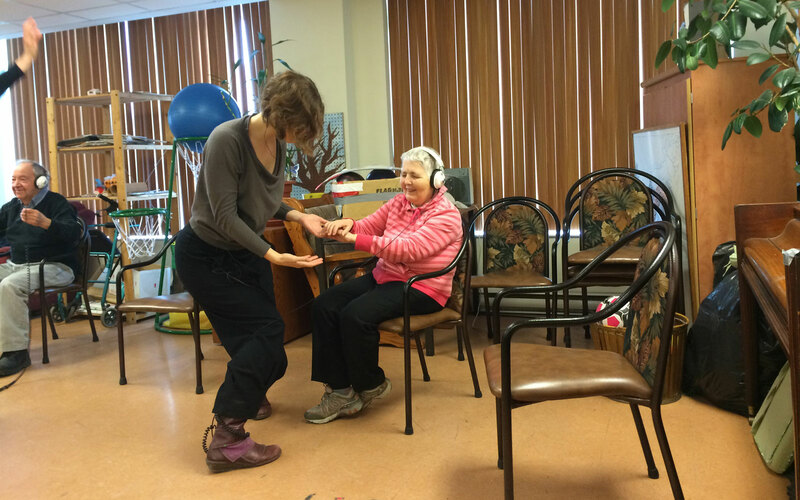 This customized version of the project provided an opportunity for seniors to break out of isolation and boredom, to let themselves go by enjoying music for a few minutes, and let themselves be carried along by the invitation to dance. The experience of running this project in 2013 revealed that these seniors had specific kinds of needs. 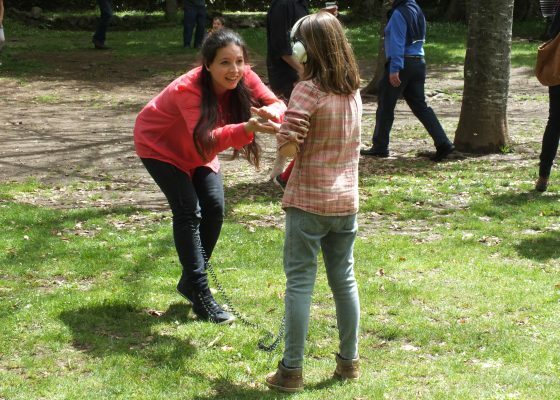 It also demonstrated that their engagement with dance had the power to alleviate certain immediate difficulties while serving as a social and physical activity with the potential to improve the quality of their everyday life. foster exchange between support staff and residents. ÉCOUTE POUR VOIR with seniors was also introduced to the clientele of the Centre Évasion in 2016, with three hour-long activities per month. Three professional dancers were involved in leading these activities. In may 2017, this project was named winner in the Artistic Activities category of the 30th week contest Friendship is no age. DCD/EJ is also scheduled to provide a series of practical workshops, titled Ainés en mouvement (Seniors in Movement) in 2017, to the clientele of the Centre des aînés de Villeray, in their places of residence, namely in three different HLMs for seniors located in the borough of Villeray. 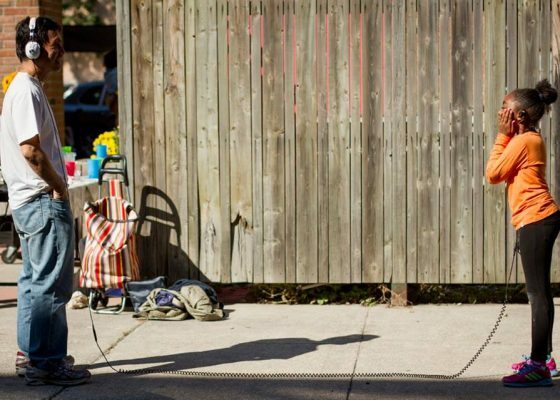 The objective is to invite seniors, whether they are experiencing a loss of mobility or not, to dance and be physically active in the context of group explorations of the body and physical expression through movement. 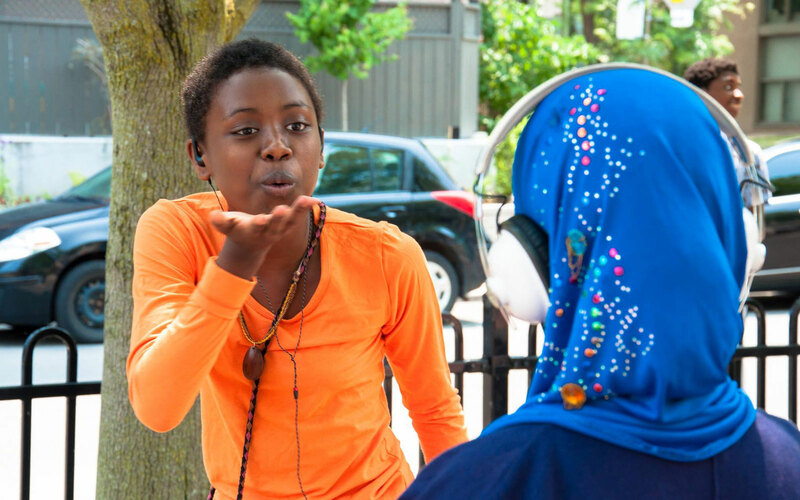 This project was financed as part of the Entente sur le développement culturel de Montréal by the City of Montreal, and the by Ministère de la Culture et des Communications. The transmission scenario for ÉCOUTE POUR VOIR was adapted and reproduced in Toronto in 2014, with two partners. 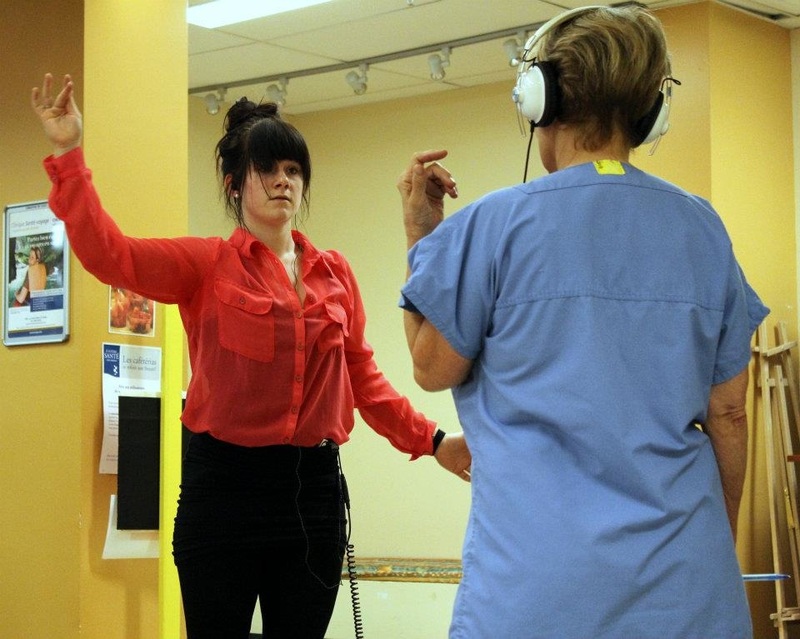 Its method was first used in the SummerWorks Festival with artists at Workman Arts, a centre for people with mental illnesses seeking to express themselves through art. 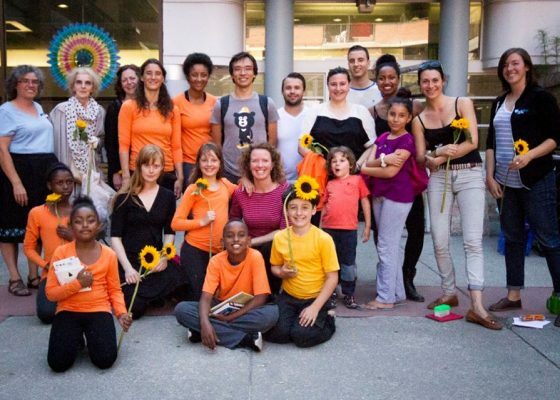 The company then partnered with Jammi, a Toronto community organization, along with Corpus, a performing arts company, in October, to run the project with 4 professional artists and 16 residents aged 7 to 78, as part of the Esplanades Move event.